D-STAR (Digital Smart Technologies for Amateur Radio) is an FDMA and GMSK digital voice and data protocol. Digital voice modulation uses less bandwidth than older analog voice modes such as amplitude modulation, and frequency modulation. The quality of the data received is usually better than an analog signal at the same signal strength. Digital modulation is easier to route and distribute. 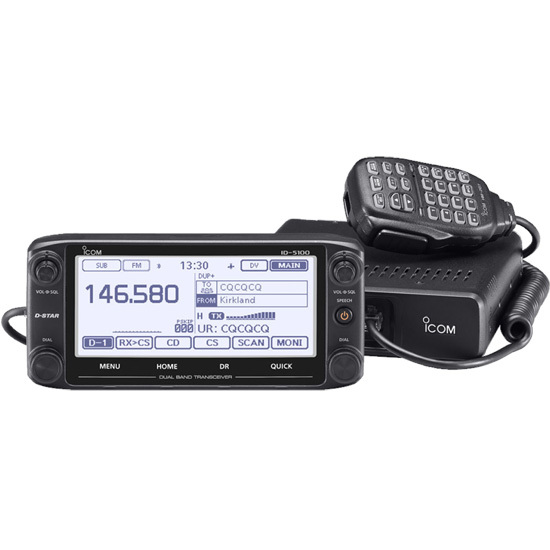 D-STAR compatible radios are available for VHF, UHF, and 1.2 GHz amateur radio bands. In addition to the over-the-air protocol, D-STAR also support network connectivity, enabling D-STAR radios to be connected to the Internet to stream voice and data communications. To register your call sign with the D-STAR network go to W4VO-Dstar-Registration. You only need to register on one site - multipliable registrations can create problems. You may receive the following message "There’s a problem with this website’s security certificate" The web link is safe we are working to remove the error. Click "Continue to the web page." Send an email message to WA4OKJ@ARRL.Net when you complete your initial register. The D-Star Info - www.dstarinfo.com - site has radio specs, reflector information, D-STAR conferences and forums, nets schedules, apps and devices, updates for radios with repeater databases, and a D-STAR calculator. D-STAR Uses - www.dstarusers.org - shows the most recent D-STAR users activity, a repeater directory, and radio programming videos. The D-STAR gateway is a Linux based computer that run the D-STAR gateway, D-STAR plus, and Monlink software. 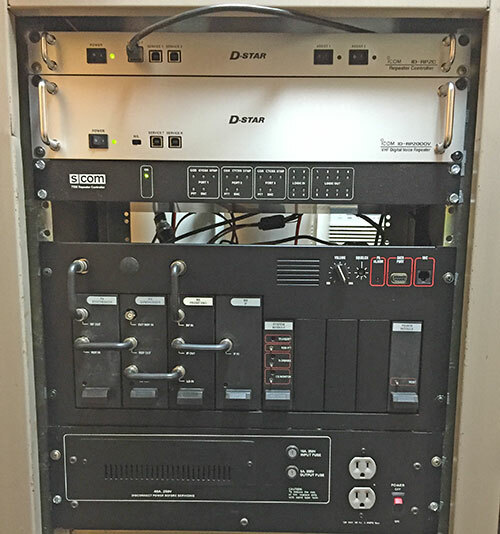 The D-STAR gateway connects to the D-STAR repeater controller and to the Internet. The gateway controller the repeater and directs connections to and from the gateway and DStar network. DStar Reflector. The D-STAR controller also interfaces with four D-STAR repeaters - VHF, UHF, 1.2 GHz voice, and 1.2 GHz data. The reflector is a web server located at a data center with a high-speed Internet connect. The reflector accepts connections from D-STAR gateways and DV devices - like Dongles and DV access points. It then redistributes the information to all connected gateways and devices. Each reflector has several modules - A, B, C, D, and E Example REF030B. and redistributes DV information to all stations connected to a module. It acts as a digital repeater or voice bridge. The difference is that the reflector's inputs and outputs are digital rather than RF, with the DV to RF conversion happening remotely. Reflector have be enhanced by adding a dashboard page that is available on the web. The dashboard will list all the inbound and ongoing reflector’s links - plus individual connections. The primary Georgia reflectors are REF030B and REF030C. For radios with a “DR” mode: you will want to select your repeater, Link to Reflector, and then 30 C.
If the gateway is already linked, you may have to unlink it first. In the web calculator, for Function, select Unlink. Once linked, you will have to switch UR in the radio to “CQCQCQ” otherwise you will not be heard on the remote system. In the web calculator, for Function, select Local Repeater with Gateway. Then select the same module for Destination Module as the Source Module. DR radios select Use Reflector. Internet Labs PC Digital Voice Dongles connect to your Windows PC or Intel-based Mac via a USB port and provide an access point for use with D-STAR reflectors. If you can’t reach a D-STAR repeater and do not have a D-Star radio, use one of these devices with your computer to connect into the D-STAR network. Internet Labs Digital Voice Access Point Dongles connect to your computer and provide a 2 meter or 70 cm Access Point for your D-STAR radio. The DVAP is a 10 mW digital transceivers units will work with your D-STAR radio all around the house with the included stub antenna. Attachment to a better antenna will yield extended coverage. 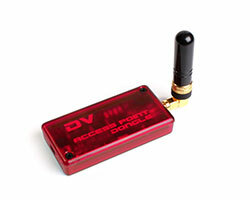 Using a DV Access Point Dongle, an Internet connection and a D-STAR transceiver, a user may connect to, and communicate with, D-STAR gateways and reflectors . The DVAPTool application used with the DV Access Point Dongle may be installed and run on Microsoft Windows, Mac, or many flavors of Linux. You’ll need to install the FTDI drivers - www.ftdichip.com/Drivers/VCP.htm and download the application for your OS from the DVAP website - www.dvapdongle.com The installation instructions are included with the DVAP. The DVAP can also be used with the Raspberry PI.